McDonald's has spoken out to deny a rumor it was using a trick to make fries containers appear fuller than they really were. Rumors emerged on Reddit last week that McDonald's workers were pinching fries containers to make them appear fuller. In a thread called "What did your job want you to hide from customers? ", a Reddit user claiming he had worked at McDonald's described an alleged trick. "They taught me how to pinch the fry carton just right while putting the fries into them so that it looked full, but actually wasn't," Reddit user ExperiMENTALbunny posted. "I only had one customer call me out on it. He shook the fries out into his bag and poured them back into the fry carton himself and it only filled up half way, so I had to give him more fries." McDonald's debunked the posting, telling Business Insider that rumors about the alleged trick were "absolutely false." "The notion of a secret trick is absolutely false. 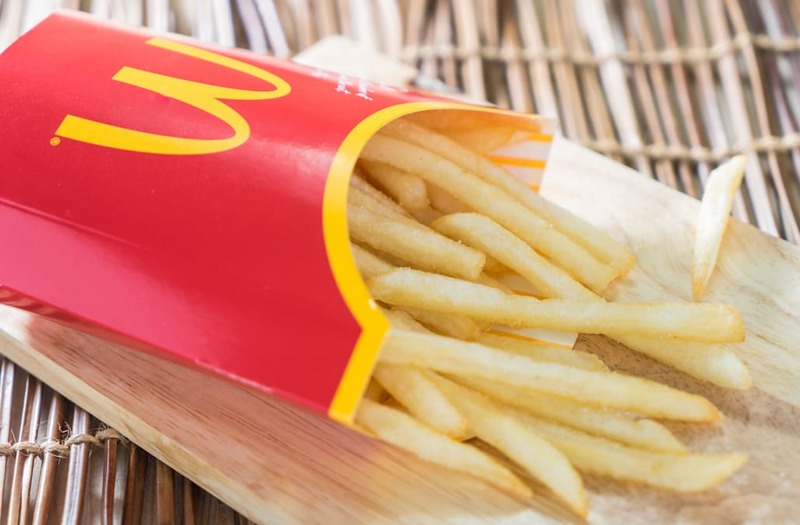 There are strict procedures in place to ensure that fry boxes and bags are appropriately filled so our customers can enjoy our World Famous Fries to the fullest," Terri Hickey, a spokesperson for McDonald's, said in an emailed statement. McDonald's isn't the first chain that's been accused of selling customers short. Starbucks faced a class-action lawsuit for allegedly failing to fill lattes to the brim, while Subway was slammed for allegedly selling "footlongs" that were only 11 inches.